Born again! and just in time for St. Pat’s Day. 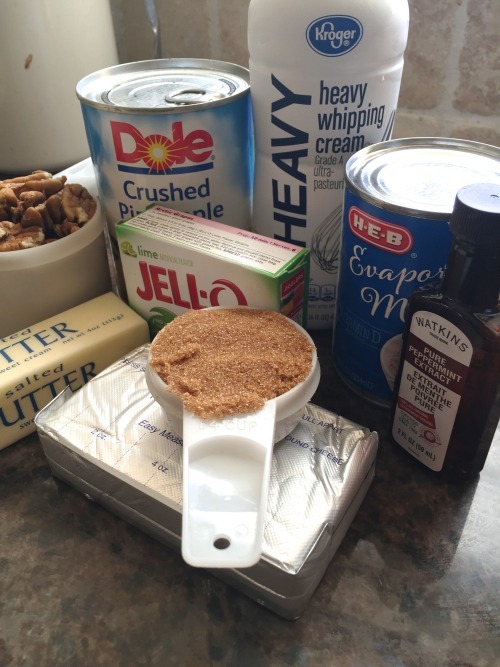 This is a born again dessert recipe. Over the last few years I’ve been watching Paula Deen and Pioneer Woman make desserts and recipes that my mother use to make back in the 50’s and 60’s and now on Facebook all these old recipes that we grew up with are popping up all over the place. I think anyone under 50 would have never been treated to some of these family favorites. 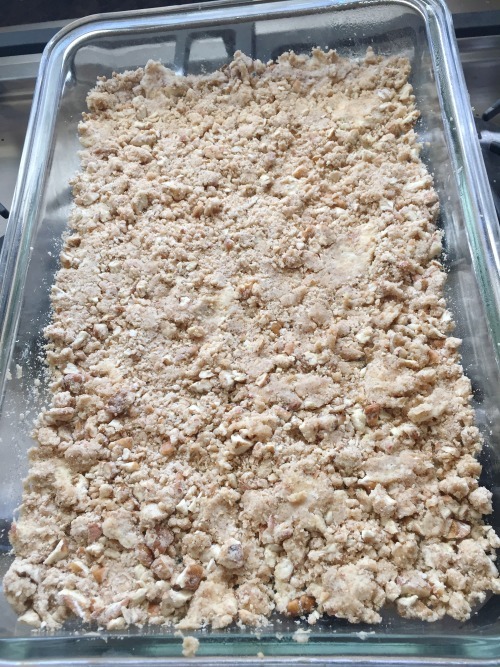 This particular recipe is one that my sister, Terry, and I put in our Double Delight Cookbook that we did many years ago and came from one of her friends in Caruthersville. 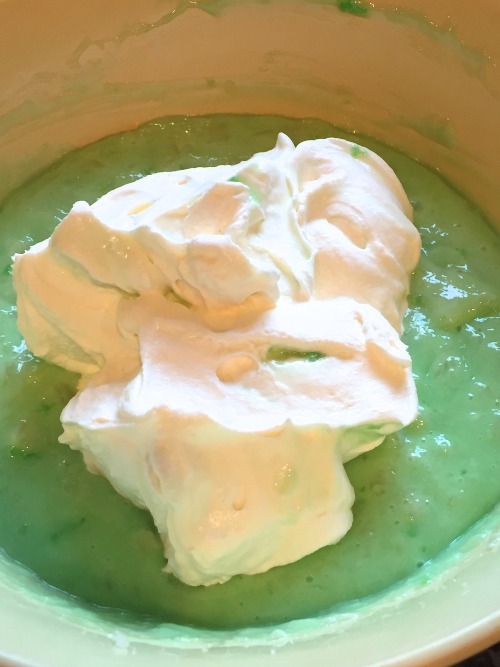 What a fitting dessert for a St. Patrick’s Day party or anytime in the month of March when you are looking for something green to make. 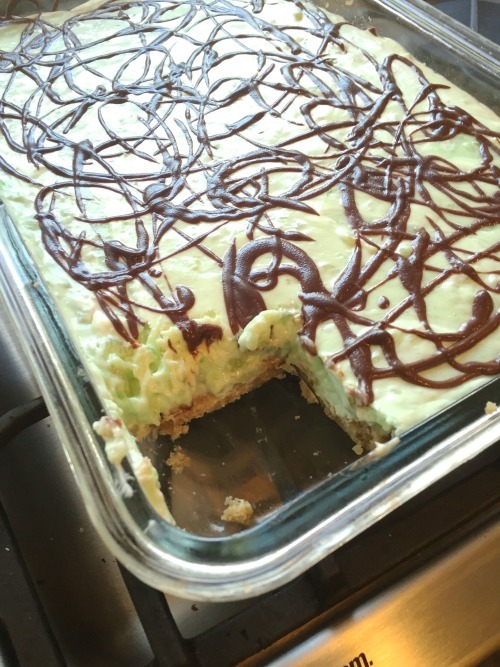 One year I was desperate for something green to make to celebrate St. Pat. and made these Green Velvet Cakes in a jar. I should make an Irish dinner every year since my husband’s grandmother’s family came from Ireland (grandfather’s from Scotland). My favorite Irish side dish has to be Potatoes Colcannon which is mashed potatoes mixed with some sautéed cabbage and onions and topped with cheese. I’ve only prepared corn beef like once so maybe this year with our new outdoor kitchen we can try doing it outside on the smoker. Throw in some green beer and some other green foods and some decorations and we can have a party. Sometimes I get carried away doing fancy desserts and other recipes and forget about recipes that are part of my culinary journey. 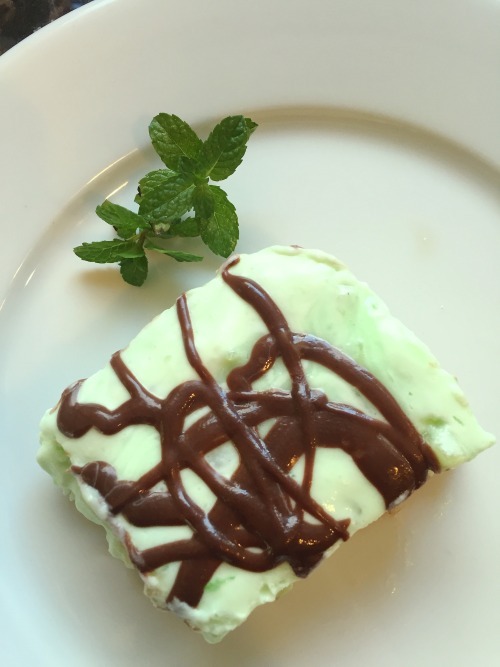 This is a pretty simple recipe and the chocolate, mint and lime go great together; I’m even using sugar-free lime Jello to cut some of the calories. I have two small spiral note card books that belonged to my parents; one says “Helen” and the other says “John”. I refer to those often when I’m looking for something to bring back some special food memories. Do you have any old family recipes that you would like to share? If so leave a note in the comment section at the end of this post. BLAST FROM THE PAST and its GREEN: Zucchini Pasta with Pine Nuts is a recipe I now want to make again using my spiralizer tool. With out without this gadget, this is a great little healthy entree. Mix the crust ingredients and press into a baking pan that has been sprayed with cooking oil. Dissolve the jello in the pineapple juice and heat. Cream the sugar and cream cheese. Stir the cream cheese mixture and pineapple into the jello mixture. Then refrigerate until it starts to thicken (but don’t let it totally set up.). 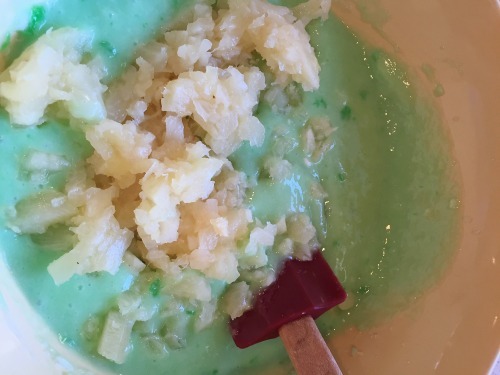 Whip the cream and fold into the chilled jello mixture along with the peppermint extract. Pour this over the crust and refrigerate until firm. 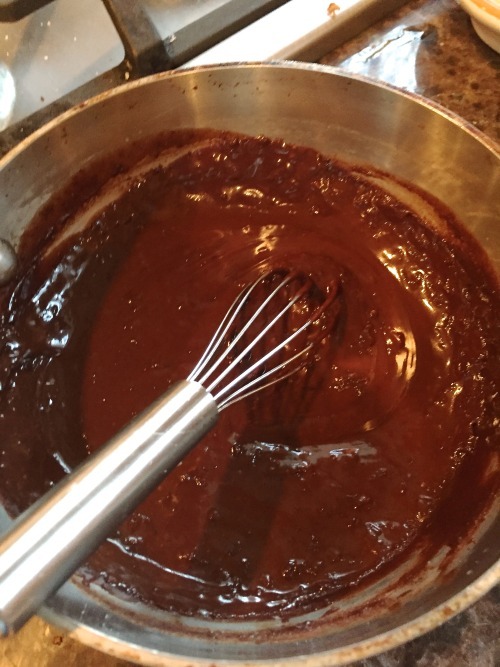 Melt the chocolate and the evaporated milk. Add in the butter and peppermint extract. Cool a little then drizzle over filling in pan. Just in time for St. Patricks Day festivities. Combine the crust ingredients and press into a 9x13" pan. Bake at 400° for 8-10 minutes. Cool. Drain the pineapple and reserve juice. 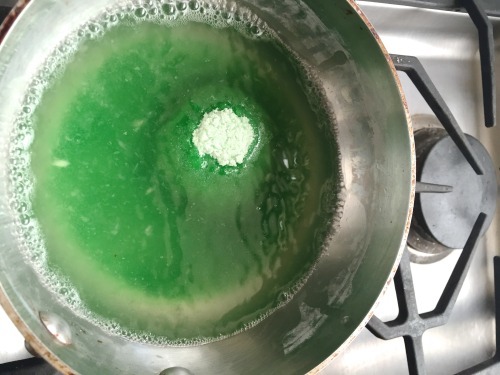 Bring the juice to a boil and add 1 package lime jello. Cool. Cream the cream cheese with sugar. Blend into Jello. Stir in pineapple and chill until thick. 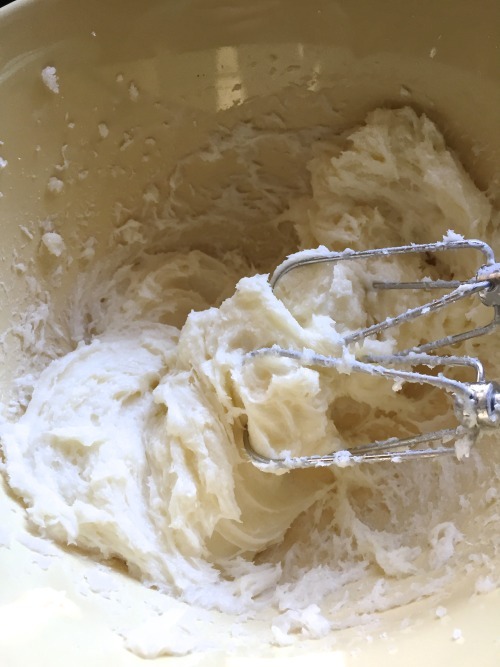 Whip the cream with the peppermint extract (from filling ingredients) and fold into pineapple mixture. Pour over crust.